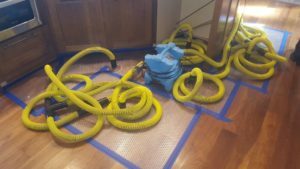 Water Damage - Lindstrom Cleaning & Construction, Inc.
Damage to your belongings and home may not be as evident with water compared to a fire loss. In reality, the longer you wait for restoration services, the more detrimental the damages can be. 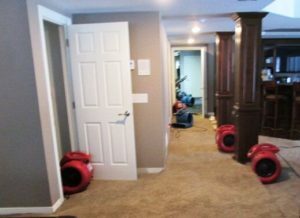 It is vital that water damage restoration begin within 48 to 72 hours of the initial event. Mold and mildew can form in places unseen, like within your walls. We utilize the most advanced equipment to determine the severity of damage both seen and unseen. Call your insurance company and Lindstrom Cleaning & Construction, Inc. immediately: 763.544.8761 (Toll Free: 1.877.544.8761). We will immediately dispatch certified technicians with advanced equipment that will help dry out the affected area. 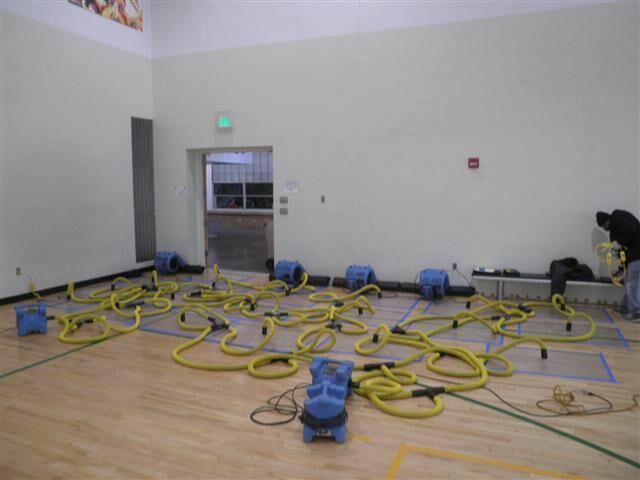 We can provide emergency water restoration services 24 hours a day, seven days a week, 365 days a year with a target response time of 80 minutes. Avoid areas where electricity may come into contact with water in your home. Water can weaken structures. Always watch for potential falling objects such as your ceiling or shelving units while surveying your home or business. This would also be something to mention to your restoration company, as they have the equipment to remove any dangerous items. Completely avoid areas with raw sewage. Before contacting your insurance company, and if the conditions are stable, locate the cause of the water damage. If the reason for the damage is not a natural occurrence, such as flooding after or during a heavy rain, find the source and attempt to stop it by shutting off the water source. Make sure steps are taken to prevent your water lines from freezing. Once the source of the water is located and the water has ceased, move your valuable items to a secure, dry place. Remember to create an inventory list, especially if items are severely damaged. Your insurance company will find it helpful if you still have receipts for any expensive items. If the source of water is in any way threatening to your electrical appliances, be sure to either remove them (conditions permitting), or shut off your power. If your power must be shut off, remember to remove perishable food items from your refrigerator or freezer while making a list of each item. Making sure your appliances are in working order is a good way to prevent water damage. Your washing machine, refrigerator, freezer, water heater, and dish washing machine are the higher risk appliances for causing water damage. Make sure you check appliances regularly, and if an appliance does have any corrosion or leaking, make sure you call the proper service company immediately. Your home’s building structure is an essential part of your house, so make sure your gutters are cleaned at least once a year, and have someone inspect your roof for damage. Specific items on your roof should also be inspected, including your chimney or venting areas. The kitchen, bathroom, laundry room, or anywhere in your home where you may have a sink or access to water should be inspected regularly for signs of leaking, which may lead to larger problems.